Charities must address public concerns about doorstep fundraising or risk falling into the same "traps and pitfalls" they made with street fundraising, the Public Fundraising Regulatory Association will warn. 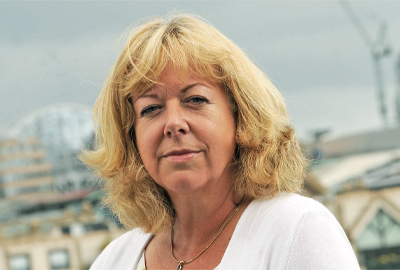 Sally de la Bedoyere, chief executive of the PFRA, will use her opening speech at the Institute of Fundraising’s face-to-face fundraising conference on 30 September to warn charities not to "hunker down and hope the issues will go away". In a statement about her session, Doorstep F2F: a warning from history, the face-to-face regulator said that de la Bedoyere will say in her presentation that charities run the risk of falling into the same traps and pitfalls they made with street fundraising if they do not learn lessons about self-regulation and allocating fundraising sites. Mistakes of the past included not taking media coverage seriously and waiting until street fundraising was an issue for councils rather than proactively going to the local authorities, the PFRA said. De la Bedoyere said in a statement before the presentation: "There are several issues facing doorstep fundraising: increased media spotlight after years focusing on street; rising complaints to the FRSB; trading standards officers considering ways to prohibit all doorstep cold calling; and councils making restrictive licensing policies. "As more and more charities want to move into doorstep face-to-face and have to compete with other forms of fundraising such as clothes collections, there is a danger that we will repeat the mistakes made when the public perceived that street F2F had reached capacity. "Charities conducting doorstep F2F need to get to grips with the issues awaiting them and not, as some did with street 10 years ago, hunker down and hope they’ll go away." Complaints about doorstep fundraising nearly doubled between 2011 and 2012, according to figures from the Fundraising Standards Board’s latest report. The top cause for concern was the fundraisers' behaviour, the FRSB said. The PFRA has said it will introduce a new doorstep compliance programme, which is due to be announced next month.